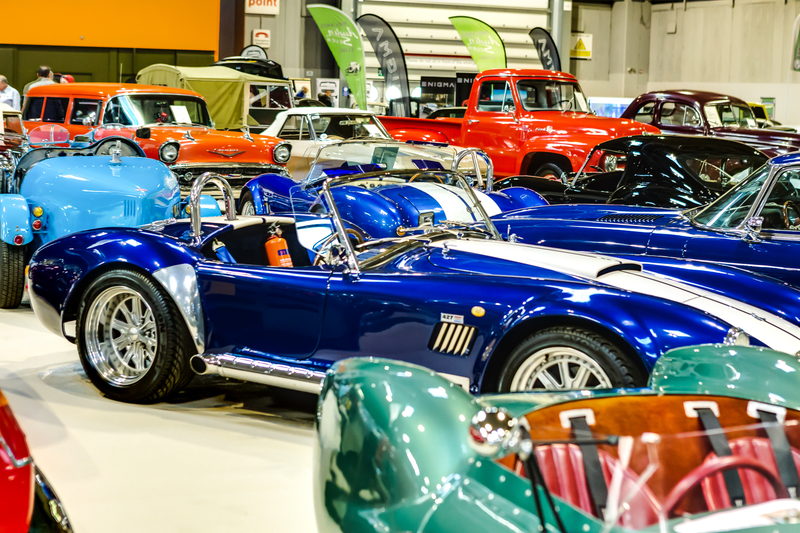 Around 71,000 classic car fans packed out five halls over three days of the NEC Classic Motor Show to see 2,500 cars and 650 specialist traders in Birmingham on November 10th – 12th. Over 250 car clubs turned up for the 33rd edition of the show, and visitors were entertained on each day with live shows on the Discovery Stage headlined by Wheeler Dealer TV stars Mike Brewer and Ant Anstead. 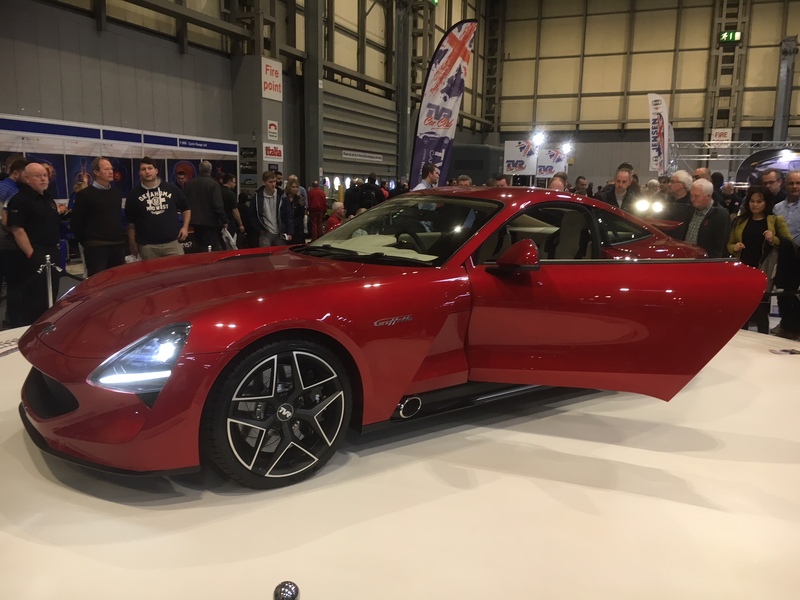 As a season finale for the classic motoring community, there was an electric atmosphere throughout as fans were awed by displays from Porsche GB, Vauxhall, TVR, Ferrari, Mazda and more. Ferrari celebrated 70 years of arguably the most iconic sports cars ever, while the TVR Car Club took the opportunity to display the new Griffith alongside its classic forebears, and Mazda showed off the MX-5 RF. The show theme of ‘Family Ties’ was well supported with displays of cars made by the same family name, while many, including the Morris Minor Owners’ Club and Capri Club international, celebrated family occasions such as weddings, holidays, and even funerals! Sporting Bears Dream Rides raised £35,000 for children’s charities as over 1,000 people queued up for rides in a variety of classics, the most popular being Clive Gosling’s 700 bhp supercharged Ford Mustang which barely stopped for three days. ClassicLine insurance, of course, had a presence at the big event where we launched our big free draw to win 30 classic car insurance policies worth up to £200. Watch this space as we’ll be drawing the winners soon, and a big thank you to all who entered! 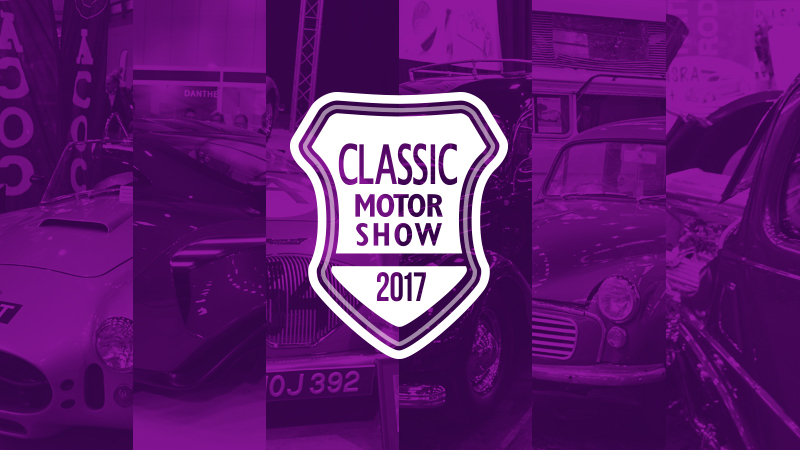 The Classic Motor Show returns to the NEC Birmingham next year on 9th – 11th November 2018.